Formerly a princely state , the Kapurthala District is one of the sub-Districts forming the Jalandhar Division .This is the only District in the state which is split in to two parts some 32 Kilometers apart. Between the two parts is the territory of Jalandhar District. It is the smallest District in terms of area and population. the District has a area of 1,633 Kilometers and is inhabited by 6,46,647 persons as per the 1991census. The District which lies between the latitudes of 30 degree07 minutes 30 second and 31 degree 39 minutes 30 seconds North and longitudes of 75 degree 58 minutes 30 seconds and 75 degree 54 minutes 60 seconds East forms a part of Bist Doab in central Punjab. In the north, it is bound by the District of Hoshiarpur and Gurdaspur, in the west., by the river Beas and District Amritsar In the south by the river Sutlej and Jalandhar and Ferozepur and in the east by Jalandhar and Hoshiarpur Districts. The Phagwara sub-division is surrounded on all sides by Jalandhar District except in the NorthEast where it joins the District of Hoshiarpur. The District takes it’s name from Kapurthala town which is its headquarters and was formerly the capital of the princely state. The ruling Ahluwalia family of the erstwhile princely state of Kapurthala traces its origin to the Rajput House of Jaisalmer. The family derives its title of Ahluwalia from village Ahlu near Lahore (now in Pakistan) founded by Sadhu Singh , an enterprising member of this family. However , the real founder of the Family was Nawab Jassa Singh who took a leading part in the Sikh struggle against the Mughal governor in Punjab. In 1748, he killed the governor of Amritsar seizing a large portion of the District .He then extended his conquest to the Beas and defeated the governor of Jalandhar doab. His subsequent victorious march was halted in 1762. After the return of Ahmed Shah to Kabul, the Sikhs chiefs under the leadership of Jassa Singh defeated Zain Khan in 1764 whom Ahmed Shah appointed as governor . He contributed most to consolidate the position of the Sikhs before Maharaja Ranjit Singh came on the scene. Jassa Singh died in 1783 . He had made Kapurthala his capital. His illustrious successor Fateh Singh was responsible for including the areas of Phagwara and Banga in his territory. The last ruler of the family was Jagatjit Singh. His contribution in the field of industry was particularly noteworthy and many institutions and industries installed in his time bear his name . During the post-independence period , Banga Subtehsil was transferred to Hoshiarpur District and four Bastis, Basti Nau, Basti Sheikh, Basti Kotlaan and Kot Sadiq were transferred to Jalandhar District in June ,1950. as a result of the merger of PEPSU with Punjab in 1965. The District has been transferred to Jalandhar division for convenience of administration. Administratively the District is divided into four Sub-division\Tehsils namely Kapurthala, Sultanpur Lodhi, Bholath and Phagwara. 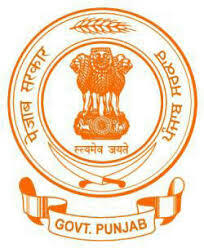 Kapurthala town is the headquarters of the District. There are 688 inhabited villages and 6 towns. The villages are covered by 5 Community Development Blocks with headquarters at Kapurthala, Nadala, Sultanpur Lodhi, Dhilwan and Phagwara. District Kapurthala can be divided into two distinct regions namely Kapurthala-Sultanpur Lodhi tract and the regions which comprise Phagwara Tehsil of the District. A detailed study regarding physical and geographical conditions of these regions is given in the following paragraphs. This region comprises the Tehsils of Kapurthala and Sultanpur Lodhi. The major portion of this region lies in the river tract falling between the Beas and Black Bein and is called ‘BET’. The area is frequently flooded during the rainy season. A flood protection ‘Bund’ namely the ‘Dhusi Bandh’ has been constructed along the left bank of the river Beas and along the Black Bein from Sultanpur Lodhi onwards. It has saved the area from the ravages of floods. Paddy, wheat and sugarcane are the principal crops of this area. Waterlogging and alkaline salts [Kallar] are a great handicap for cultivation. The major portion of the region has officially been declared backward. To the south of the Black Bein lies the tract known as ‘Dona’. The word ‘Dona’ means that the soil is formed of two constituents, sand and clay, with sand predominating. Wheat and Paddy are the principal products of this area. The common trees found in the area are Kikar, Shisham, Poplar and Eucelyptus. Sultanpur Lodhi Tehsil is known for its palm trees. Mango trees are found in abundance in the area bordering Hoshiarpur District. Among the common shrubs found in the ‘Bet’ area are Leh, Jhau, Plichi, and Bla atc. Among the aqutaic plants, the more important are Ajal, Karali and Bhalu. Sarkanda and Kahi are useful reeds found in the riverain tract. Kans is found in sandy soil. The Phagwara region consists of the Sirwal, Dhak and Manjki tracts lying roughly in the North-East, middle and South-East of the tehsils. Sirwal possesses the characteristics of the ‘Bet’; the numerous hill streams coming down from Hoshiarpur District keep the soil moist all the year round. Some of these streams are silt laden and at first deposit fertile soil though their later deposits are more and more sandy. Due to the existence of these drainage channels patches and stratas of hard clay are also to be found. Vegetables are grown in abundance in this area. the principal crops are wheat and sugarcane and paddy.